Clearance: 20mm Horz. x 64mm Vert. The rugged range of double deadlocking and ball-locking pin tumbler laminated steel padlocks deliver premium quality performance. 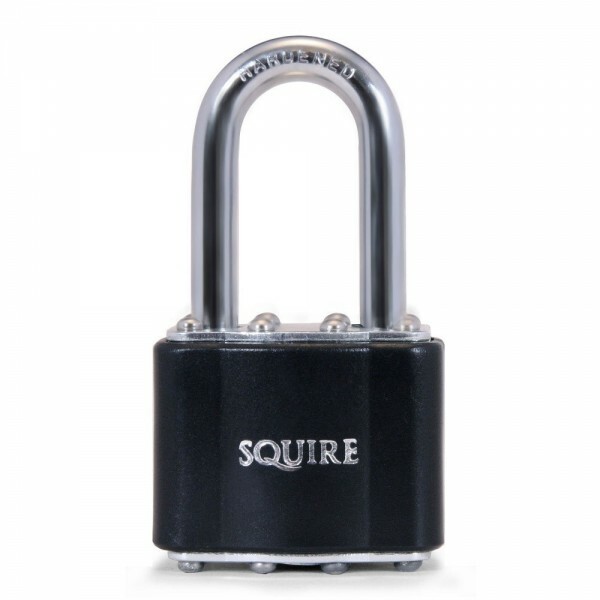 Features a hardened steel shackle and covered steel padlock body with anti-corrosion finish. It has a 4 pin tumbler lock mechanism which gives over 1000 key variations. Recommended for sheds, garages, toolboxes, vans and storage areas.